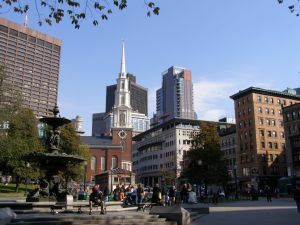 In the height of the summer travel season, Boston, with its wealth of history and stunning landmarks is a top destination for tourists. Unfortunately, sometimes these travelers suffer injury while they’re in town. Just like anywhere else, there is the potential for car accidents, bus accidents, bicycle crashes, slips and falls and even crimes of opportunity predicated on negligent security. Boston personal injury attorneys are dedicated to the aggressive civil representation of those who were harmed while visiting our city. These plaintiffs may have special concerns regarding feasibility of travel and other issues. It’s important too that these individuals seek the aid of a legal firm with extensive experience, as laws regarding recovery of compensation for injury can vary greatly from state-to-state. Having an attorney familiar with the ins-and-outs of Massachusetts injury law is critical to the success of your case. In the recent case of Patterson v. Christ Church in the City of Boston, the Massachusetts Court of Appeals affirmed an earlier decision in favor of the defendant in a slip-and-fall case. The plaintiffs argued on appeal the Superior Court erred in applying the recreational use statute (M.G.L. c. 21, S.17C) to the historic church where the incident occurred. A couple visited the Old North Church, an historic landmark in the North End of the city. In their 60s at the time, the pair were in town as part of a sightseeing trip arranged by a senior center nearby their hometown in Georgia. In order to participate in the trip, the couple paid the senior center $1,740, which covered certain expenses throughout the journey, which additionally included stops in New York, Virginia and Connecticut. Once at the church, neither the couple nor anyone from their group paid a fee to enter the church. Upon entering, the group was ushered inside toward the pews. What they didn’t realize was that at the entry to each pew was a hinged door and also a single step. The step was painted the same color of red as the carpet. No one in the group was warned to watch their step as they entered the pew. The wife tripped, and fell onto the pew bench. As a result, she suffered serious injuries that required her to undergo surgery, hospitalization and rehabilitation. Much of the medical expense she incurred was not covered by insurance. She subsequently filed a personal injury lawsuit. However, the church requested – and was granted – summary judgment on the grounds that the state’s recreational use statute exempted it from liability from ordinary interest. The law states that when a plaintiff is injured while engaged in recreational activity on that land for which the defendant did not charge, yet had an interest in the property, the defendant may be exempted from liability. Upon appeal, the plaintiffs chose to argue the claim on the basis of whether a fee was imposed or charged. Although the plaintiffs individually did not pay a fee, they contended the church reaps economic reward through its foundation, which generates revenue that keeps the building free and open to the public. The court disagreed with the reasoning that this was a “charge” that would make the defendant liable. In such cases, it is possible that more than one defendant could be held liable. All possibilities should be explored.